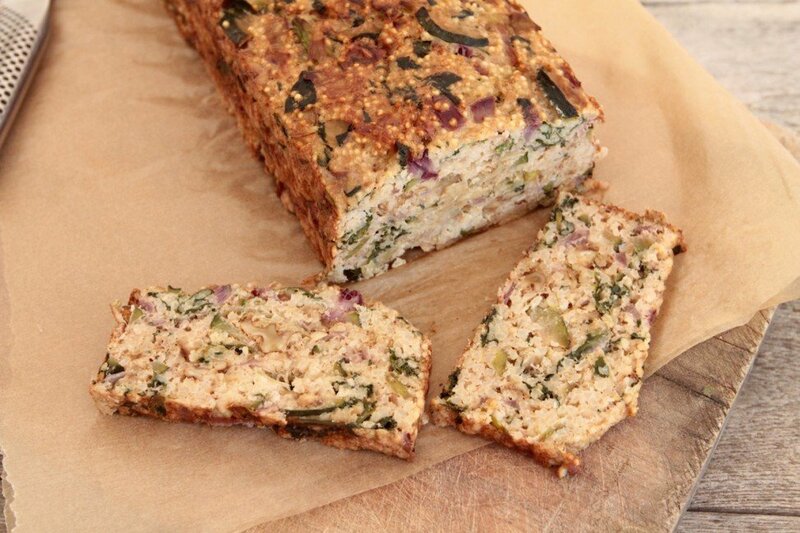 Today I made a delicious veggie loaf for lunch. I served it with avocado and salad. Cook the millets in 1 1/2 cup of water in a medium size pot. Meanwhile cook the veggies in a bit of olive oil in a big pan until soft. Then toss the cooked millet and veggies into a big bowl and add the rest of the ingredients. Mix it well and pour the mixture into a bread pan and bake the loaf for 40-45 minutes. When baked set the bread aside for 15 minutes for the loaf to settle. Take the loaf out of the pan and use a sharp knife to slice it, cut the slices 1-2 cm thick.